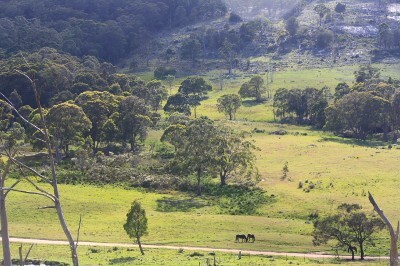 This unique 37ha (91 acre) property is located in the high country just 12kms South West of Tenterfield. It is a sound sheep/cattle grazing property well known for producing top quality vealers. Subdivided in to 5 paddocks, the most special feature is water which is available permanently through a spring fed creek and large spring fed dam. Many Waters has the approval to be subdivided on to 3 blocks. Improvements include a comfortable 3 bedroom hardiplank home, 3 bay shed and stockyards.